QB/Turkey: The star on the field and the dinner table go hand in hand on this day. Everyone is looking at this spot to be the key to everything. It has to be well prepared and ready to handle heat without getting to stuffed (I know I am killing the puns so far). If there is even a tiny mistake though the game/meal could be ruined, but luckily for this spot if you have a great supporting cast you should be ok.
RB/Stuffing: The guy that get's it done in the trenches and isn't afraid to make his way through the small holes that open up for him. The RB and stuffing are willing to do the dirty work and do whatever it takes to help make the QB/Turkey look good. Getting to mix it up in the trenches and dive over the pile of players or food is just a bonus. WR/Green Beans: The spot that can be overlooked sometimes because they are skinny and tall, not the sturdy spot that the other positions on the field/table can be. They can also be kind of diva's with how they are prepared for the game/meal and treated. Needing to sometimes get an ice bath before they can even start to be dealt with. If everything goes just right though they can come through in a big way. TE/Dinner Rolls: This is the spot that can always be a pleasant surprise for everyone. 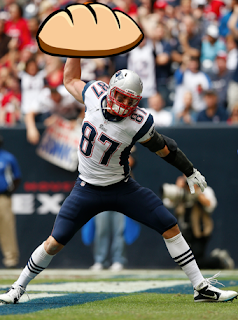 The TE/dinner roll has been a spot that has developed over the years from just a blocker between the to a star itself. It has turned into a part that can take over the meal just by adding a bit of complexity, whether its by adding onion or spices. Then on the field it has developed into a lethal pass catcher that knows how to spike the the ball down defenses throats. Overall, just a nice part brought to the table/field. DEF/Mashed Potatoes and Gravy: The spot that holds everything together on the field and the dinner table. Without a solid defense and mashed potatoes and gravy the game/meal is practically ruined. It needs to have consistency and not be afraid to get a few lumps along the way. A good defense will pick up it's QB when he is struggling and a good mashed potatoes with gravy will do the same thing, picking up all the turkey pieces left behind. This is my personal favorite part of the game/meal. K/ Cranberry Sauce: The spot that most people tend to forget until it is important. 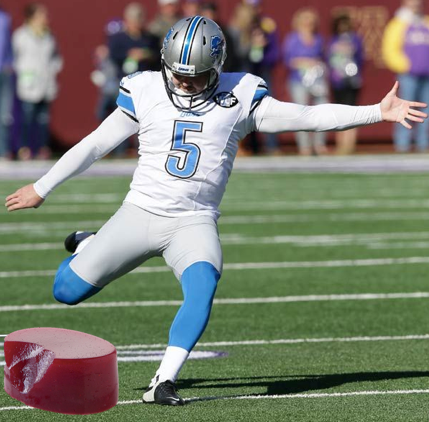 The kicker and cranberry sauce. This position and side dish are always something everyone needs, but never puts much thought into at all. Think about it, a kicker is called on a total of 5-7 times on average per game between PAT's, FG, or kickoffs. Cranberry sauce is usually the last thing you put on your plate, but when making leftover sandwiches it is the key ingredient. Without either one the team/meal could fall apart. That's my stance, let me know what positions and side dishes you think go together. Happy Thanksgiving Everyone and have a great day with family, friends, and football.